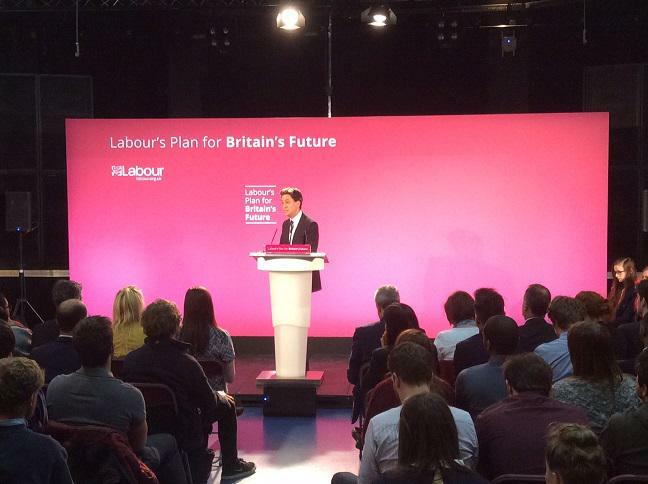 Ed Miliband made the pledge at an event at Sheffield Hallam University. Ed Miliband today pledged that the Labour party is "not going to ban Snapchat". The Labour party leader was speaking at an event in Sheffield as part of a Labour drive to speak to young people about the party's policy. Miliband did not expand on tuition fees – a Labour policy is expected on this in the next few months – but he did say that Snapchat would be safe under a Labour government. This follows a commitment made by Liberal Democrat minister Simon Hughes when he told BuzzFeed News over Snapchat that the Lib Dems had no plans to ban the app. Mobile apps such as Snapchat and WhatsApp came under threat this week after David Cameron said there should be no "safe space" for terrorists to communicate online, suggesting that he was against encryption. Most websites, including the Conservatives' own site, use a secure layer to keep personal information submitted by users safe, and there are reasons to believe the Conservatives will struggle to ban encryption. There are suggestions that Labour has a "decapitation" strategy and plans to swarm Nick Clegg's constituency in Sheffield with activists in order to ensure the Lib Dem leader is not re-elected. Awkwardly for Labour however, the party's student society at the university last year failed to find enough members and closed down, according to Guido Fawkes. Key student question to @Ed_Miliband in Sheffield on the snoopers' charter: "can you confirm the Labour party will not ban Snapchat?"